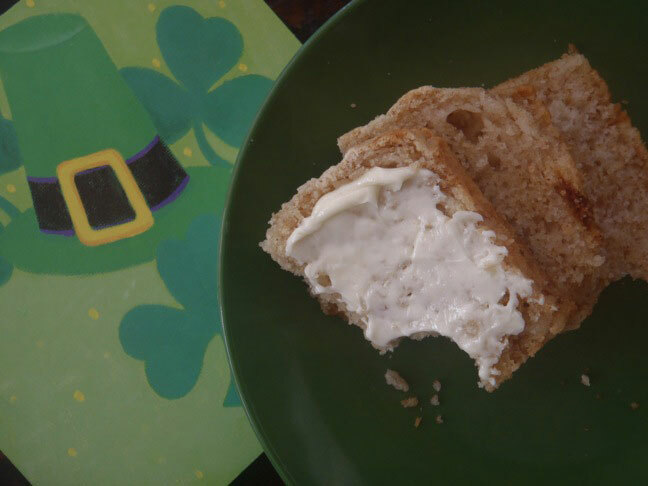 In addition to Corned Beef Hash, what do people like to eat on St. Patrick’s Day? When I asked this question on Twitter, I got an overwhelming number of folks requesting Soda Bread. I did a little research and learned that rural Ireland did not have a tradition of baking breads with yeast. Most baking was done in the home and supplies were limited. Some tried using baking soda as a leavening agent with much success. 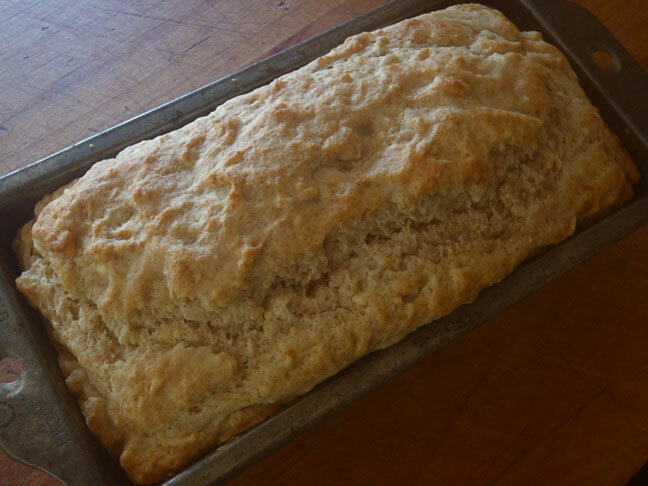 Baking soda caught on in a big away, and of course soda bread’s a staple of the Irish diet. 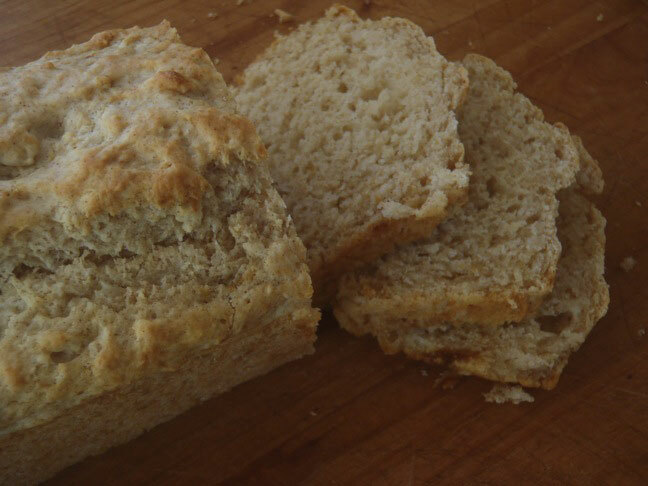 Traditionally, spices aren’t found in soda bread, but I think they greatly enhance the flavor. Plain and simple, this is delicious! Perfect for sopping up the juices of Corned Beef Hash and Cabbage and Cherries! And delightful with a bit of butter for breakfast, too! Top of the morning, anyone? Preheat the oven to 350 degrees and grease an approximately 9-inch loaf pan. In a large mixing bowl, combine the flour, baking powder, baking soda, salt, spices and sugar. Make a well in the middle and set aside. In a medium-sized mixing bowl, gently whisk the buttermilk and egg. Pour this mixture into the well and mix with the dry ingredients only until combined. Fold in the butter and oil and pour the batter into the greased pan. Bake until the loaf begins to brown and crack on top, about 45 minutes.